ISO 9001: formal acknowledgement for quality. Tecnoindustriale S.R.L., born in 1978, obtained important results in terms of growth both in Intaly and abroad. Thanks to the wide range of products, it can satisfy every request from customers in relation of home, industry, agriculture and zootechnics closures applications. All products are marked with CE certification. 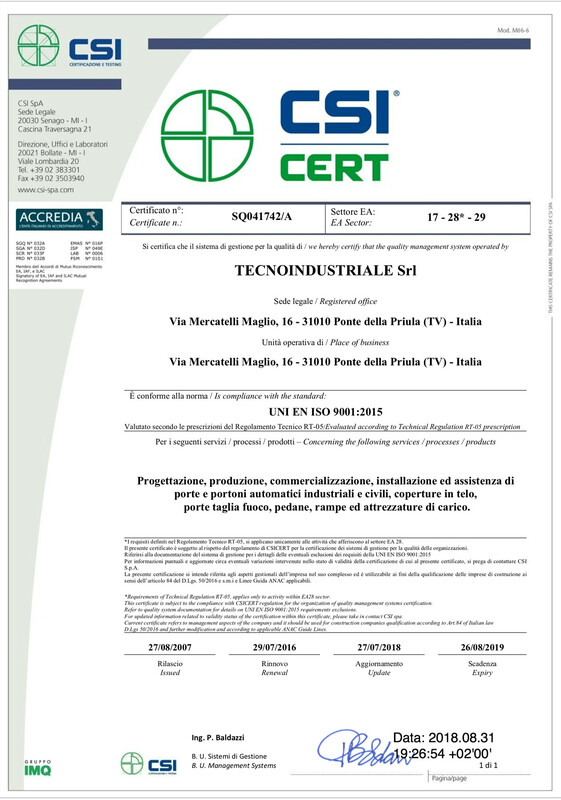 Moreover, the company adopted a highly organised global system, in compliance if the UNI EN ISO 9001 QUALITY SYSTEM current edition, which was achieved in 2004 with CSICERT safety board. Tecnoindustriale has been working over the years in compliance to the current work safety regulations. 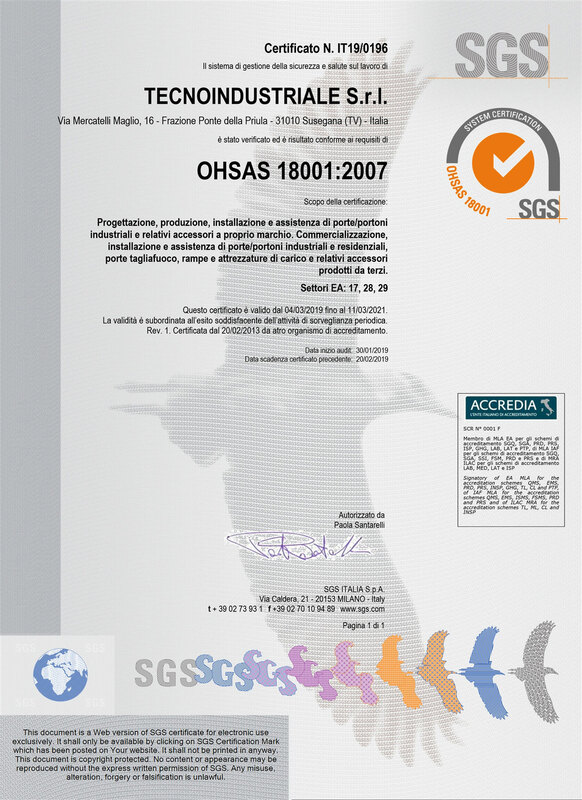 In 2013 TECNOINDUSTRIALE achieved the Certification Management System for Health and Safety at Work as required from OHSAS regulation (OCCUPATIONAL HEALTH AND SAFETY ASSESSMENT SERIES) 18001:2007, which ensures compliance with the most demanding standards of safety.